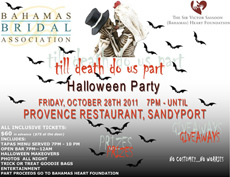 Nassau, Bahamas - Bahamas Bridal Association will host a Halloween Fundraiser called Till Death Do Us Part on October 28th, 2011 at Provence Restaurant at Sandyport. Fabulous tapas menu, music and goodie bags with amazing entertainment. 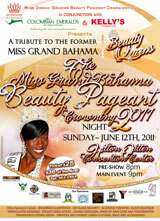 Part proceeds to benefit the Sir Victor Sassoon (Bahamas) Heart Foundation. Freeport, The Bahamas - The Lucaya International School PTA is thrilled to announce a new take on the annual Spring Fling! 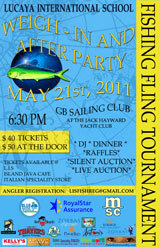 The 1st ever LIS Fishing Fling Tournament promises to be a blast! 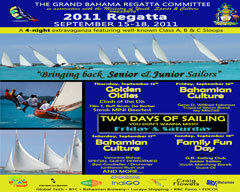 The date is set for May 21st with the weigh-in and after party at the Grand Bahama Sailing Club. Prizes will be awarded for the biggest fish – so come out and enjoy a day at sea and test your skills behind the reel! Freeport, The Bahamas - The Grand Bahama Golf Association is conducting the second annual Grand Bahama Open on Grand Bahama Island May 26th – May 29th, 2011. 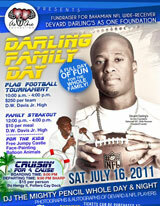 This event was created to attract golfers from other places to visit and enjoy Grand Bahama Island. 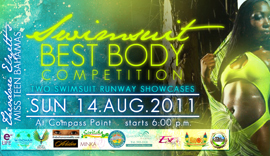 The hope is that the event will become one that will showcase our golf courses, our Island and our people. Three golf courses will be used for the competition. The Bahama Reef Golf Course, The Lucayan Golf Course and The Ruby Golf Course. 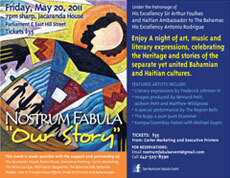 Nassau, The Bahamas - Featuring tours, poetry readings, mini-craft and food fair, and live entertainment. A children's corner featuring ornament making, cookie decorating, and visits with Mrs. Claus. Christmas Magic: Festival of LIghts, a Holiday Open House @ The Balcony House Museum is sponsored by the National Museum of the Bahamas of the Antiquities, Monuments, and Museums Corporation. Nassau, The Bahamas - The Sir Victor Sassoon (Bahamas) Heart Foundation was established in 1961, to assist the children of The Bahamas, who are medically challenged, specifically those who are born with heart defects. The weekend, focused on breast cancer awareness, begins on Thursday, Nov. 6, at 6:00 p.m. in Grand Ballroom D of the Atlantis Hotel with An Evening with Xernona, a one-woman show featuring Ms. Xernona Clayton. 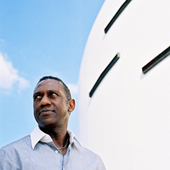 On Saturday, Nov. 8, the Cancer Society of the Bahamas and Susan G. Komen for the Cure present “Stride for Life Walk” beginning at 6:00 a.m.
Grand Bahama Island - Real Men Cook will unveil a multidimensional exhibit reflecting highlights of the 19-year-history of the Father's Day celebration in the Bahamas from October 16-20 as part of its pre-20th anniversary celebration. The Exhibit will be on display at the Grand Lucaya Westin Hotel on Grand Bahama Island as part of the kickoff in the Bahamas, which will become the first international market to host a Real Men Cook celebration. Carnival's MS Imagination will be docking at The Lucayan Harbour October 7th, 2008. 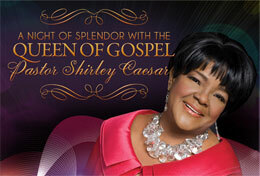 Aboard the vessel Praisefest Ministries 3rd annual 'Cruise with a Cause' will be taking place. A concert FREE is set for New Providence for 5pm on October 8th at Cliford Park. Notable religious musicians are: Paula White, Larnelle Harris, Andrae Crouch, and Mary Mary. Other celebrities attending 'Cruise With A Cause' also include: Donnie McClurklin, Bishop Henry Fernandez, Dr. Matthew Dunaway, Dr.Patricia Bailey-Jones, Frank Shelton, Brit Nicole, Danny Glover.etc. 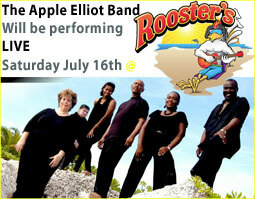 Some 1800 visitors from aboard the vessel will descend upon The Bahamas. 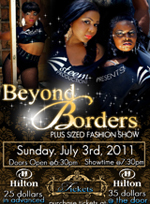 Nassau, The Bahamas - The fashion world is buzzing about “Islands of the World Fashion Week” (IWFW) to take place in Nassau, The Bahamas, November 5-8, 2008, set to showcase well-known and new designers from islands around the world and to promote cultural diversity and creativity. The producer of IWFW is Mode lIes, Ltd., an affiliate of The Montaque Group, a diversified financial services operation with interest in film finance and production. Inaugural IWFW venues will include the British Colonial Hilton in Nassau and the Atlantis Resort, Paradise Island, The Bahamas.